You have hyperglycemia when your blood glucose is 180 mg/dl or higher, when measured at the same time of day, for three or more days in a row. However, there are times when this may happen and you are not “officially” considered hyperglyce­mic, such as when you have a temporary illness or when your physician readjusts your insulin dose. The most frequent cause of high blood glucose is too much food. If you eat more than your food plan calls for, your exercise regimen and diabetes medication will not be able to handle the ex­cess and you will become hyperglycemic. A secondary cause is not getting enough exercise. 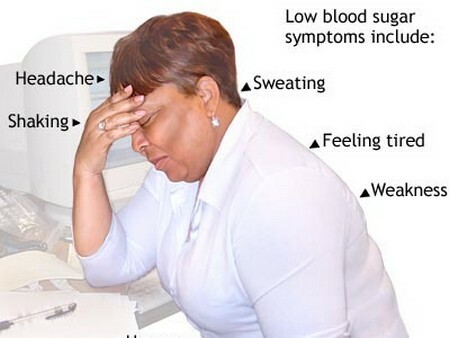 Hyperglycemia often does not result in physical symptoms, but some people experience some of the same things they did right before their initial diagnosis: thirst, fatigue, or blurry vision. With or without symptoms, the only way to diagnose hyperglyce­mia is by blood glucose monitoring. If you have made mistakes in the timing or dosage of insulin injections, correct them. If you have gained weight recently, lose it. If you are using a new oral hypoglycemic agent or are taking another medication temporarily, the hyperglycemia may disap­pear when you get used to the new agent or when you finish the other drug. Test your blood glucose at the same times every day to avoid natural fluctuations that you may have mistakenly believed was hyperglycemia. Adjust your insulin dose for such an eventuality, but only as you have been instructed. Do not “experiment” with dosages on your own. If none of these things works and you remain hyperglycemic, notify your physician, who will probably ask you to come into the office for more sophisticated blood tests, and in the meantime, may adjust the dosage of your oral hypoglycemic agent or insulin. Depending on the results of the blood tests, if you have not been taking insulin you mady have to begin.